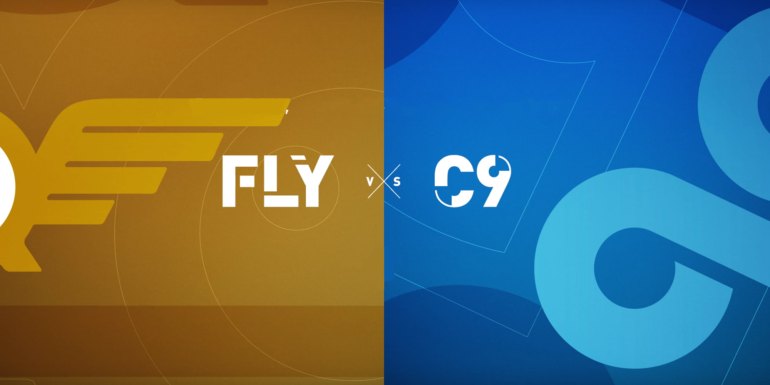 Now that Cloud9 White is FlyQuest, the two former sister teams face off for the first time. In the summer of 2016, Cloud9 faced a conundrum. It had enough LCS-level talent on its hands to fill two rosters. So it created a sister team and sent half of its players to the League Challenger series. After the Challenger squad qualified for the LCS, C9 faced another conundrum—it would have to sell the slot. Enter Wes Edens, part owner of the NBA’s Milwaukee Bucks. Edens bought the slot and most of the player contracts, renaming the team FlyQuest. On Sunday, the two teams will meet in the LCS for the first time as rivals. This meeting of the two former sister teams is being billed as Cloud9 Blue (Cloud9 proper) vs. Cloud9 White (FlyQuest). It wouldn’t be much of a story if the two teams sat at opposite ends of the standings. We knew that Cloud9 would be strong this year by virtue of their strong Worlds performance. But FlyQuest has proven pundits who thought they were washed up wrong, and ascended to the top of the league table. FlyQuest is tied for second place with TSM, and has more convincing match wins than TSM—though they haven’t yet beaten a team with a winning record. They’ll get a shot to do so this weekend, first against Phoenix1 on Saturday and then versus Cloud9 on Sunday. What chance does FlyQuest have against the undefeated Cloud9? One of the biggest surprises in FlyQuest’s LCS start has been mid laner Hai Lam’s proficiency in his old role. The very reason he moved from mid lane to jungler, and later support, was his questionable lane mechanics. Hai has not played mid lane in the LCS since spring 2015, an eternity in esports. Hai’s not showing much rust and his mechanics look fine. He’s leading all mid laners in gold at 10 minutes. But that has less to do with his laning prowess (around average in CS at 10 min) and more to do with his unmatched ability to read the map and roam. Playing high-mobility champions like Corki, he has exerted immense pressure on the side lanes and has the highest First Blood percentage of all mid laners. In fact, the difference between Hai (43 percent) and second place (29 percent) is the same as the difference between second and eighth. But Hai will face a special challenge against Cloud9 mid laner Nicolaj Jensen. Jensen and Søren “Bjergsen” Bjerg are by far the best laners in NA, and that pressure could prevent Hai from leaving his lane for fear of giving up the mid lane turret. Jensen likes to keep pressure up and scale for the mid- and late-game, when he can output insane damage on the likes of Syndra and Ryze. Whoever has the upper hand in this clash of styles will go a long way to deciding the game. Both will need help from the jungle position to do so, a position where there’s been a curious regional development. One of the biggest stories of this split has been the emergence of homegrown junglers like Galen “Moon” Holgate (FlyQuest) and Juan “Contractz” Arturo-Garcia (Cloud9). These junglers (along with Echo Fox rookie Matthew “Akaadian” Higginbotham) are making more experienced players, even imports from the LCK, look silly. Contractz made his name in week one by totally outplaying TSM’s veteran jungler, Dennis “Svenskeren” Johnsen. But since then Moon has been the better jungler, using his synergy with Hai to get First Blood much more consistently. Moon leads in experience and gold at 10 minutes, showing his early-game prowess. Both junglers are playing Kha’Zix, a leading meta jungler, but Moon’s performances on his pocket Evelyn are driving teams batty. Moon will be under pressure to outplay Contractz, especially in the early game. On paper, FlyQuest is weaker in the side lanes. Moon needs to abuse Contractz’ early pathing and arrive first to support those lanes. Also, FlyQuest is known for some of the strongest macro shot calling in NA. But Cloud9 coach Bok “Reapered” Han-gyu has his team communicating and rotating at an extremely high level. Cloud9 has eliminated many of the late game macro weaknesses that the team experienced last split. FlyQuest need Moon to go off early and help Hai snowball before Cloud9 does. High level macro play from both sides should make this an extremely entertaining series. Get your popcorn ready for Sunday, because this should be a fun battle for first place.